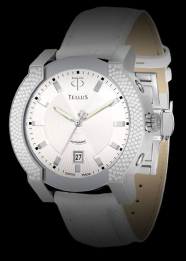 The first born of Parentheses’ concept, a watch of pure and strong architectural lines. 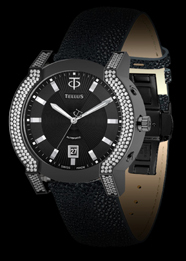 Elegant and masculine, it blends on men’s wrist perfectly. 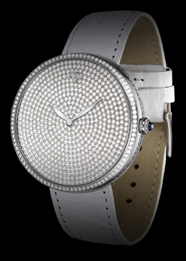 The slenderness of the latest and refined variant of Parentheses – the Stormer collection makes the watch simply elegant. 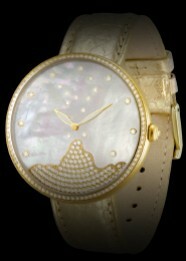 The elegant Diamanta collection introduces a luxurious universe of a soft yet refined shape. 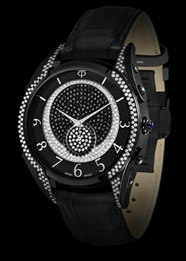 Its pavé dial of black or white diamonds will shine from the sunrise through the sunset. 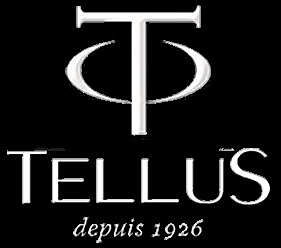 The ultimate of radiance and glamour, the Fireworks collection of Tellus is both seductive and timeless. 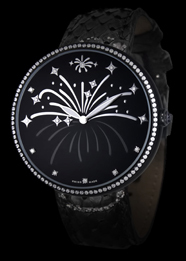 These stunning timepieces reveal brilliant diamonds bursting like fireworks and lightning up the mother of pearl sky.